Once again, North Osettia is in the news, and once again the news is violent and alarming. It has been almost exactly four years since that horrific event that outraged the world, the bloody siege of North Ossetia’s Beslan School No. 1. 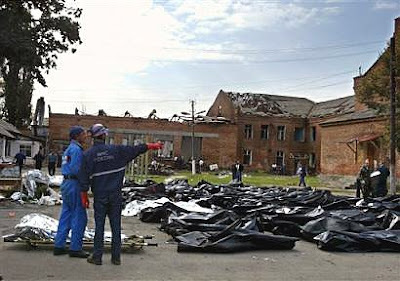 More than 1,000 hostages were taken at the Beslan school in the early hours of September 1, 2004, by guerrillas demanding an end to the war in nearby Chechnya. A standoff ensued until September 3, when Russian personnel stormed the school and ended the siege with a series of loud explosions and a final assault. When the smoke had cleared the total number of dead was more than 330 people, half of them children. This is the war we are in. We must not allow ourselves to be misled or confused by sins of omissions or purposeful obfuscations. We must learn to connect the dots. We must learn to see these seemingly anomalous events for what they really are, not isolated tragedies, faraway and removed from our everyday world, not individual maniacs freaking out and killing our children in front of our very eyes on our university campuses; but rather as part of that great Islamic Jihad against the West, against the infidel. From the Munich Olympics to 9/11, from the streets of Mogadishu to the bombing of the Cole — it’s the same ruthless enemy, the same bloodthirsty child-killing jihadist Muslims. They are “dreaming of dying in jihad”. And, have no doubts about it America, we are still on their list. 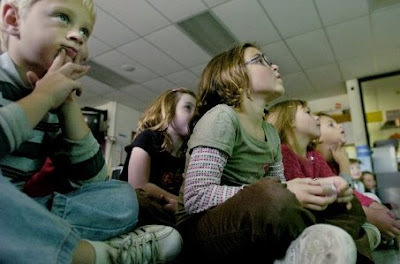 Last December 2007, Radarsite ran a truly alarming article, cross posted from Deb Hamilton’s Right Truth, on the threats received by a number of elementary and high schools in Florida. A series of post cards [see above] were sent to several different schools in the area promising “an explosive surprise”. Fortunately, nothing came of it. Whether it was proven to be a stupidly cruel hoax, or whether an actual attack had been thwarted we may never know. But, as they say, the writing was on the wall. How many similar plots have been silently thwarted we will quite possibly never know. But we can be certain of this: the minds that thought up the bloody siege of Beslan are still thinking. Could it happen here? A more pertinent question might be, why hasn’t it happened here yet? Are we that good? Or have we just been lucky? A couple of years ago I made a trip back to my childhood home for the first time in over 50 years, Of course, much had changed, some of it was completely unrecognizable, and some of it looked exactly as I had remembered it all those years. 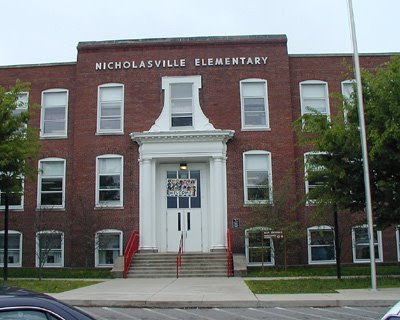 But one of the most disquieting changes that I came across on that sentimental journey were the new additions to my old elementary school. The small friendly brick building was now ringed with an ominous row of concrete traffic barriers. 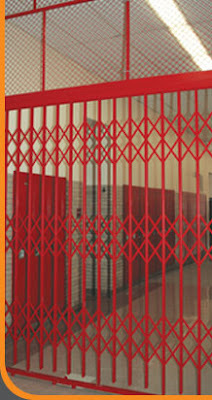 I found that I couldn’t even get inside to visit my old school without first making an appointment and being cleared by security. So, it seems we have adapted. We’ve tightened up our loose ends. 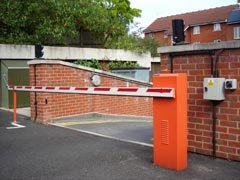 We’ve put up the money required to install the latest access control technologies: traffic barriers, security doors, high-tech iris scanners, metal detectors, and we’ve developed more stringent security procedures. And, so far, so good. But, are we really prepared? Are we psychologically and emotionally prepared for a well planned and executed three day Beslan type siege? Are we strong enough to handle the unbearable pressure? Can we withstand the horrific drama being played out 24 hours a day for three days on our widescreen TVs? Do we have the will power to resist their inevitable outrageous demands? Will we release terrorists from Gitmo? Or pressure Israel to make some deadly concessions? What are we willing to do and not to do? Have we even seriously thought about it? We certainly have the technology. We have the equipment. And we have the most proficient and courageous first responders, police, firemen, and SWAT teams in the world. But do we have the strength of character to stand back and let them do their jobs without interference? For the sake of our children’s lives will we sacrifice our national security? 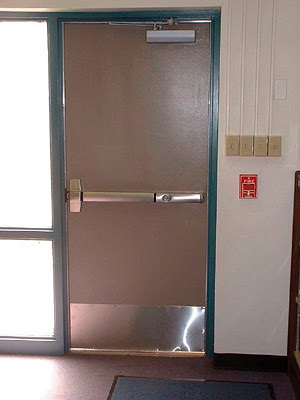 Will we open the door for more deadly blackmail in the future? 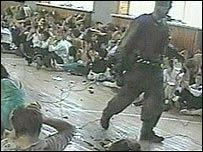 Could a Beslan happen here in America, to an American school? Are we prepared to face the terrible enormity of this possible scenario? Can we ever be truly prepared for such a horror? But we had better at least start thinking about it. Because our enemies most certainly have.